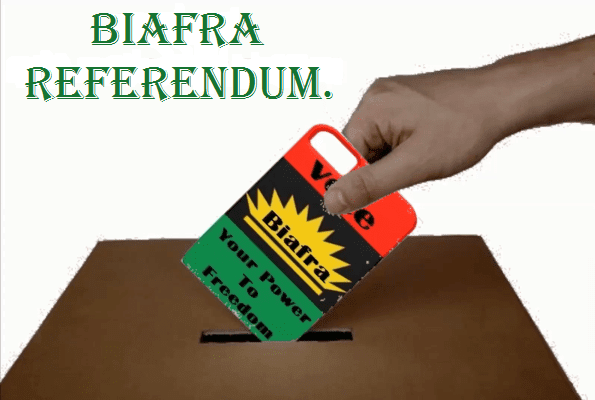 The Indigenous People of Biafra (IPOB) says it has started printing ballot papers, with which a referendum would be conducted for the people of the South East to vote if to remain in Nigeria or leave. The group said it plans to hold the referendum later this year, and that it was determined to ensure that the exercise took place without violence. “It is worth reminding that on the 11th February 1961, Nigeria conducted a referendum for the people of Southern Cameroon to determine whether they wish to be part of Nigeria or merge with Francophone northern Cameroon. Through this age-long democratic process, IPOB said, it shall return power to the long-suffering downtrodden masses, to enable them determine their destiny which it said was cruelly taken away by successive Nigerian governments.